Dowie's Place: The Undoer is now available! 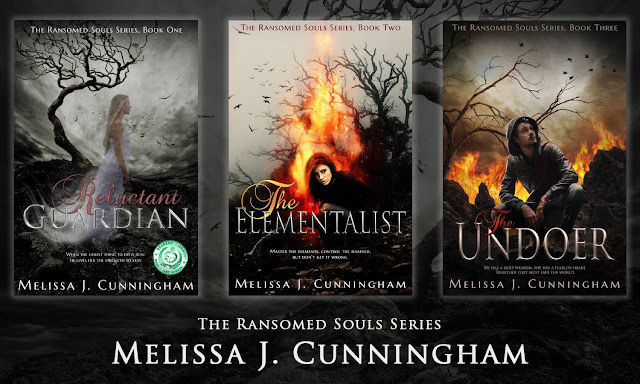 Clean Teen Publishing presents the new release of the third book in The Ransomed Souls Series by Melissa J. Cunningham. Readers can order their copy today at a discounted rate that will last through Friday. If you haven't started this amazing young adult paranormal romance series, now is the time since you can get all 3 books for $4.98!!! 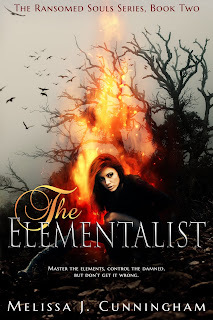 RELUCTANT GUARDIAN is FREE today, THE ELEMENTALIST is $.99, and THE UNDOER is $3.99 until Friday! 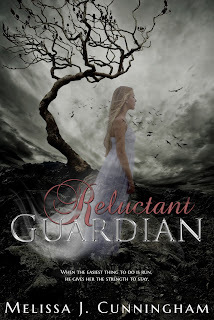 Fans of Cassandra Clare's LADY MIDNIGHT will love this series. 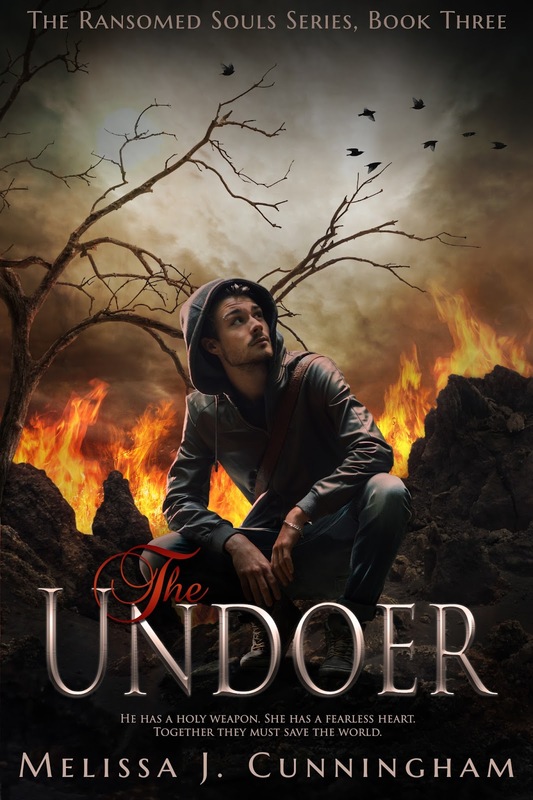 READ THE UNDOER TODAY FOR $3.99! 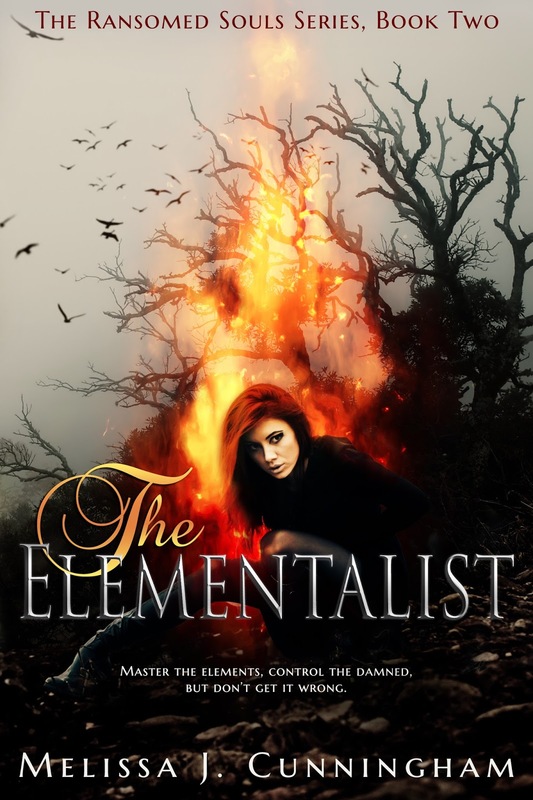 Brecken, an ex-demon trying to find redemption, is given the task of closing The Door. It’s a seemingly impossible task. A group of teens who call themselves Cazadors will be his allies. These extraordinary youth can see the demons when no one else can, but Jag, their leader, wants nothing to do with Brecken. Who is your favorite character in this book? Why? Dang! I can’t decide. Seriously. I love them all so much. They are all so different, with awesome strengths and weaknesses. I love Brecken, because he’s been such a fun character since the beginning of the series. I love Heidi, as she carries my daughter’s name and becomes a badass warrior princess in this book, and I absolutely love Dean because of his heart and fierce loyalty to his friends. Who is your least favorite character in this book? Why? How is The Undoer different from other books in its genre? It’s not really. The title says something significant about the main character in the book. And Brecken is absolutely The Undoer. What would you say to entice a reader who isn’t familiar with the genre to read your book? That this story had EVERYTHING! Adventure, action, battles, romance, heartbreak. 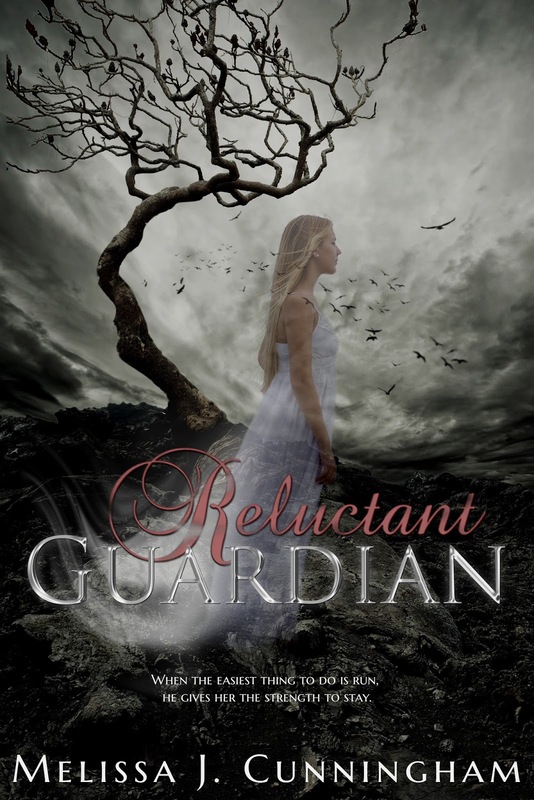 And if you like the paranormal, this book’s for you! What was the most challenging part about writing The Undoer? Going as slow as I had to. I had Lyme Disease, and even though I’m over it now, it left some damage behind, so now I get mentally tired REALLY fast. I was only able to write for short periods at a time. It is said that writers will always put a bit of themselves into whatever they are writing. Is that true for you? Do you relate to any of your characters? Absolutely. Every character is a piece of me in some form or fashion. I thinks it’s impossible to not do this. Everything we write about comes from our own brain. The things we remember, experience, dream about, imagine. So yeah. Since it comes from inside, they are all bits and pieces of me and the people I know, love, and care about. Some authors plan ahead, making a plot outline of how they intend for the story to unfold and some will allow their muse to take over, writing the story as it is revealed to them. What writing method did you use for The Undoer? I definitely write by the seat of my pants. I do have a rough idea where I want the story to go though, and I’ll take notes etc… but I don’t have the patience to completely outline. How long did it take you to write The Undoer? A year! Can you believe that? A freaking year! I would love to right at least two books a year and three would be even better. What was your inspiration for writing The Undoer? My publisher wanted a third book. LOL But the funny this, this has become my very favorite of all the books I’ve written. If you could sum up The Undoer in just two sentences, what would you say? The clanking of keys rattles outside my cell door. I’ve been lying here for a while, my throat growing scratchier as the minutes tick by. “Who’s there?” I call, but it only comes out as a croak. The door squeaks open and Brutus—the guy who kidnapped me—steps in. Yeah, I gave him a nickname. It’s my thing after all. A dim light shines on him from behind. He looks bigger than before, if that’s even possible. “Time to get up,” he says with a smile in his deep, resonating voice. When I don’t move quickly enough, he grabs me by the arm, yanking me from the metal cot. I bang my knee on a steel bar and barely find my feet before he starts hauling me out of the room. At the end of the hall, we pass through the storage room with the stairs that lead out to the alley. We don’t go out that door though, but skirt through the storage room that’s lined with shelves of canned goods. Between two of the tall shelves, we stop at what looks like a cement wall. Brutus reaches behind some canned peaches and flicks a switch. The cement wall screeches, sliding open to reveal a long, black corridor. The oppressive darkness in that space stretches its inky fingers and wraps them around my quivering heart. Like suffocating liana vines, squeezing the life out of its host tree, the life leaches out of me just thinking about what lies beyond this door. “I’m not going in there.” I dig in my heels, pulling back. Win a CTP eBook of Your Choosing! Melissa Cunningham (also known as M.E. Cunningham) was born in Oregon but grew up in Utah, where she was raised on a steady diet of fine literature from Charlotte’s web to the The Trumpeter Swan, and then plenty of romances in her teen years. She now lives with her husband on a little farm in northern Utah where all she can see out of her back door is miles of pasture and stunning sunsets. Not only does she raise horses, dogs, cats, and chickens, but her five kids also. When Melissa is not writing you can find her spending time in the outdoors with her family or dancing wildly to rock music in her living room. 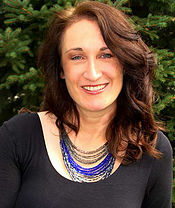 She loves running, camping, and all things fiction—scary, mind-numbing stories preferred.